I haven’t written many travel posts this year because I haven’t really been anywhere. My daily commute is a 5 minute walk and there’s precious little inspiration to be drawn from that. Believe me, I’ve tried. If you’re reading this from outside the UK, you might not know that there are several parts of England that are home to free-roaming wild ponies. One of them which I’ve previously visited is Dartmoor in Devon. *Fun Fact! In Harry Potter and the Goblet of Fire, the fictional 1994 Quidditch World Cup final between Ireland and Bulgaria was hosted on Dartmoor. Park that in your brain in case of a future pub quiz. But to be honest, the Dartmoor ponies can be a bit chippy and aggressive. There are warnings plastered all over the place telling you not to get out of the car or go near them. What did I do? I think you can guess. Was lucky to escape with all my digits intact. But the New Forest ponies are much calmer and peaceful creatures. If you don’t bother them then they won’t bother you. They have right of way on the roads so you have to drive carefully, as they literally are all over the place. The New Forest itself isn’t in the slightest bit new at all. It was first recorded as Nova Foresta in the Domesday Book in 1086. It includes one of the largest remaining tracts of open pasture land and forest in an otherwise heavily populated area. And it’s a fascinating place to explore. On our travels we also encountered a village with not one but two witchcraft shops. We also found the grave of the original Alice from Alice in Wonderland, appropriately overgrown with red and white roses. 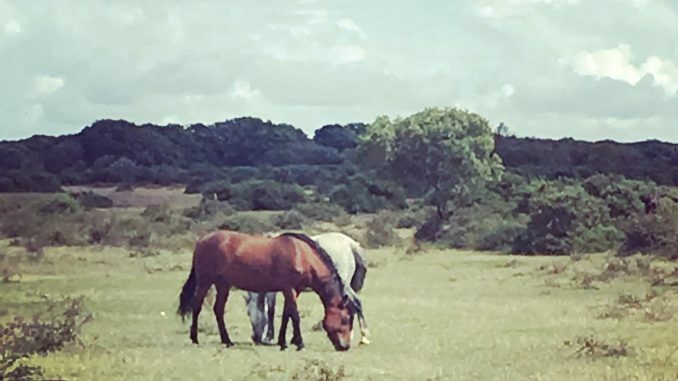 Ponies have grazed in the New Forest since before the last Ice Age. They’re all owned by commoners – people who have “rights of common of pasture” over the land. 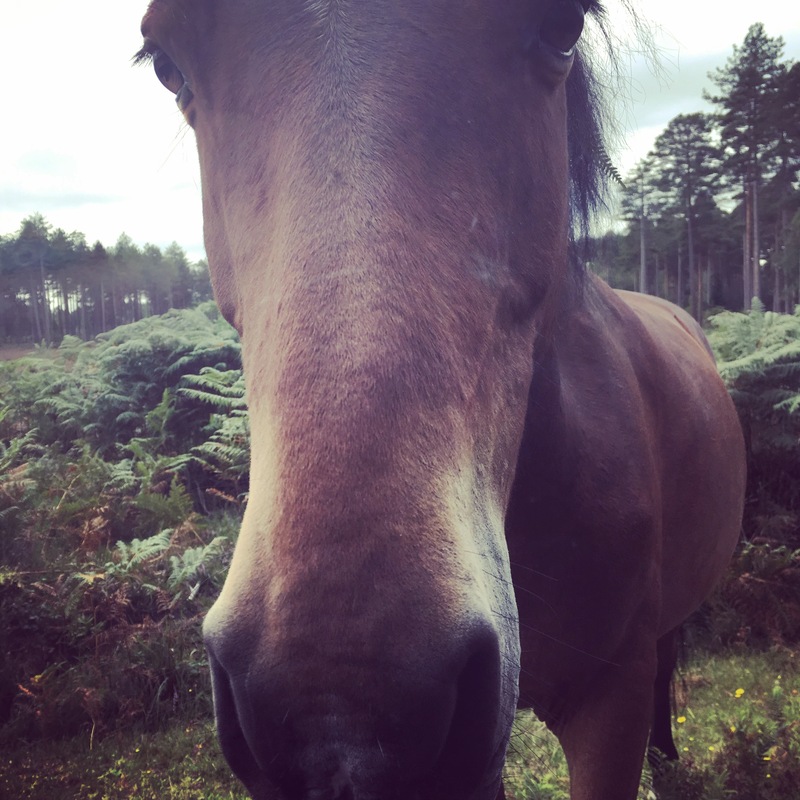 Ponies, together with cattle, donkeys, pigs, and sheep, are called “the architects of the Forest” – what a lovely phrase. 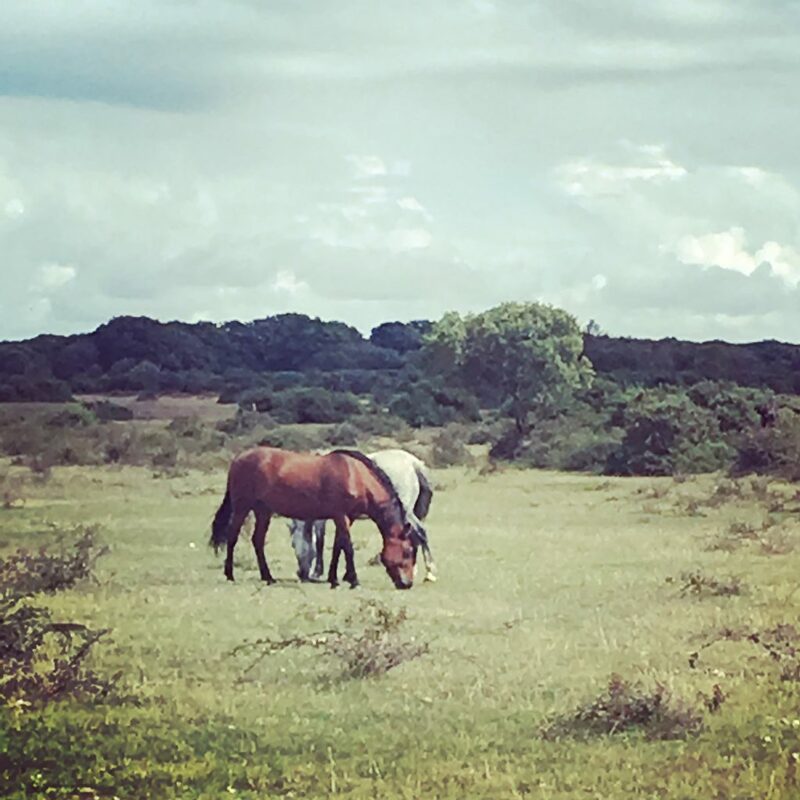 It’s their grazing over a thousand years which has created the New Forest we see today.